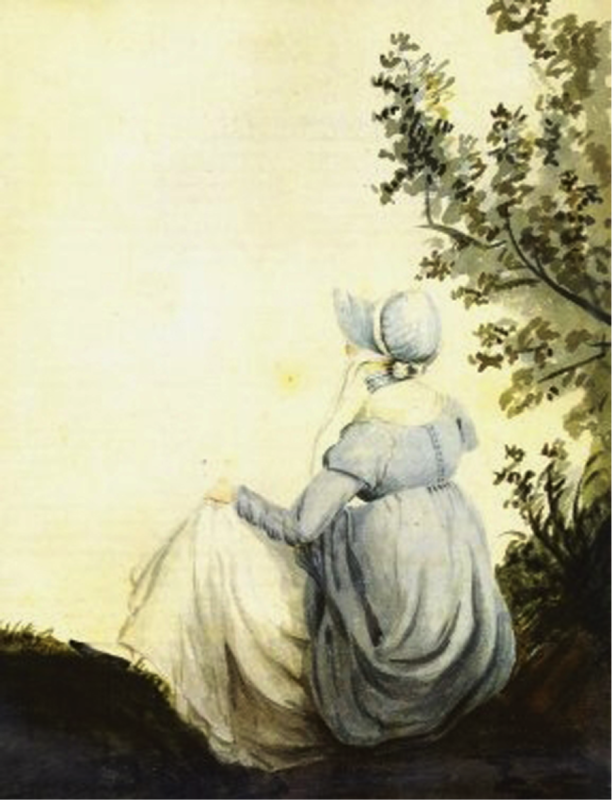 Jane Austen Travel: Faith Sites in Austen’s England – Faith, Science, Joy, … and Jane Austen! We’ve been virtually traveling through Jane Austen’s England. What sights can we visit that are related to faith? In Essential Places we talked about churches directly related to Jane Austen’s life: the small country churches at Chawton and Steventon, and Winchester Cathedral where she is buried. Bath has many lovely and interesting churches including Bath Abbey, St. Swithin’s (where Austen’s parents were married, as well as the Wilberforces), Christ Church (first “free church” in England, where the poor got the best seats! ), the Countess of Huntingdon Chapel (now the Building of Bath Museum), the United Reformed Church in Argyle Street (once an Independent chapel), and the building that once was the fashionable Octagon Chapel in Milsom Street. More Great Places to Visit includes faith-related sights at Oxford and Cambridge, and books to help you find them. Let’s visit more of my favorite faith-related places, as well as some that are on my wish list for future travels. Austen’s novels repeatedly mention her beloved poet William Cowper, who was an Evangelical Christian. The Cowper & Newton Museum in Olney is in the house where Cowper lived. It commemorates his life as well as John Newton’s. Newton was Cowper’s mentor, and curate of Olney. Both are known for many hymns they wrote: John Newton wrote the beloved “Amazing Grace” and Cowper wrote one of my favorites, “Light Shining Out of Darkness” (which begins, “God Moves in a Mysterious Way”). Olney is about an hour and a half north of London. The museum is a lovely, peaceful place with a garden, and I learned a lot about Cowper’s and Newton’s lives and about daily life in that time. There is also an exhibit on slavery and the abolition campaign. Nearby you can visit the church where Newton ministered, and see the pulpit he preached from and a stained-glass window commemorating him. At the museum they can give you directions to Cowper’s Alcove, a lovely spot where Cowper enjoyed nature and wrote poetry. To virtually travel with William Cowper, I recommend Travel With William Cowper: The Evangelical Poet, by Paul Williams, from Day One’s wonderful series. Olney is one place on the itinerary for “The Carey Experience,” a series of locations to visit related to William Carey (open by appointment only; use the contact address at the website). William Carey, “the father of modern missions,” went to India in 1793, when Jane Austen was 18. A church and museum in Moulton commemorate his life; I hope to see them one day. The book Travel With William Carey, by Paul Pease, from Day One Publications, will take you on a much longer journey with Carey, showing pictures of places he lived and worked. At the top of my wish list for my next visit to England is the Wilberforce House Museum in Hull. Unfortunately it’s far from Jane Austen country in the south. It will take about 3 to 3 ½ hours to get there by train and bus, going north from London. But the more I read about Wilberforce, who got the slave trade abolished, the more I’m inspired by his life and work, and even his family. So I’d love to see where he grew up and learn more. According to one website: “The museum tells the story of the transatlantic slave trade and its abolition, as well as dealing with contemporary slavery. Galleries also offer a fascinating glimpse into West African culture. Once again there is an excellent guide with lovely pictures of the main places in Wilberforce’s life: William Wilberforce: The Friend of Humanity, by Kevin Belmonte, from Day One guides. Stoneleigh Abbey was inherited by a cousin of Jane’s and she visited there in 1806. I’d love to see the chapel, which apparently was the model for the Rushworth family chapel in Mansfield Park. The house and grounds also look delightful, and may have influenced Austen’s description of Mansfield Park or Northanger Abbey. The Abbey offers Jane Austen tours. Stoneleigh Abbey is southeast of Birmingham, about an hour away by car. Hamstall Ridware, which is north of Birmingham, was part of a JASNA tour one year, and I wish I could have gone. Jane Austen’s cousin Edward Cooper was clergyman of the church there. He was an Evangelical, and we can still read his sermons. For more about Cooper and his home and church, see The Parish of Hamstall Ridware (scroll down to “Some Rectors”). Nearby Yoxall Lodge would be interesting also. Cooper’s friend Thomas Gisborne, clergyman and naturalist, lived there. Austen enjoyed one of Thomas Gisborne’s books. Wilberforce spent summers with Gisborne at Yoxall Lodge and worked on his anti-slavery campaigns there. Hannah More was a very influential Evangelical writer in Austen’s England. While there doesn’t appear to be a particular site honoring her, beyond some plaques, it would be interesting to see where she lived and ministered. When Wilberforce visited her there, he went out to see some of the famous scenery of the area. He came back with stories of the misery and poverty of the people, and asked More and her sister to help. They set up a system of schools (Sunday schools) that brought education and religion to the whole region. Some sites related to More: her grave at All Saints’ church, Wrington; one of her former schools, the Nailsea Tithe Barn; Keepers Cottage Brislington Hill, Brislington, Bristol (where a blue plaque reads: “Hannah More, Educator, writer and social reformer, started the first school in Brislington at Keepers Cottage circa 1796.”); and Barley Wood Wrington. There is also a plaque in Bath honoring More. JASNA lists more Austen Family Churches around England, with details of many of them. JASNA funds projects to preserve some of these churches. Wesley’s Chapel in London is well worth a visit, and the Virtual Tour online also gives you a taste of it. Ask for a guide; a very knowledgeable volunteer took me around and answered all my questions. You can see the house where Wesley lived as well as one of the earliest Methodist churches (opened 1778) and a museum full of information on Wesley and Methodism. Clapham, and Holy Trinity Church where Wilberforce and his friends in the “Clapham Sect” worshiped, is a place I’d like to see someday. When John Newton left Olney, he became pastor of the church of St. Mary Woolnoth and ministered there for many years. Walking Jane Austen’s London and Walks Through Regency London, by Louise Allen, include many churches to visit. In Austen’s letters she mentions worshipping at St. Paul’s, Covent Garden; St. James’ (in Piccadilly), and Belgrave Chapel (no longer operating). Mansfield Park mentions St. Paul’s Cathedral and Westminster Cathedral. I don’t know if Jane Austen ever visited the British Museum, but it opened in 1759, so it’s possible she did. She might have seen the Rosetta Stone which was added in 1802, but probably missed the Parthenon Sculptures added in 1816. I find the exhibits on ancient history the most fascinating. But there are also exhibits from around the world, including exhibits of Clocks and Watches (a little science there!) and Europe 1800-1900. Through the British Museum With the Bible, by Brian Edwards and Clive Anderson, is another lovely Day One Guide leading you to exhibits directly related to the Bible. If you want to go to England for a Jane Austen-themed tour, the JASNA tour this year focuses on Northanger Abbey. It sounds fantastic, and offers an optional extension to Ireland. I wish I could afford to go! (Note that you need to be a JASNA member to go, and the tours fill up early.) It’s not particularly faith-focused, but does include the churches at Steventon and Chawton (with an Evensong service), Winchester Cathedral, St. Swithin’s Church in Bath (where Austen’s parents married), Stoneleigh Abbey, and Coombe Abbey Park. The extension in Ireland includes another former abbey as well as Trinity College, Dublin, where you can see an illuminated manuscript, the Book of Kells. As I visit old churches, I also look for what is going on there today; many are still vital fellowships. Often the books they offer give me an idea of their beliefs and practices. If possible, I like to join in worship at the church, or at least pray there. It was a lovely experience worshipping at Bath Abbey. How do you show respect and reverence at sacred places?